A big problem many people who want to start training Muay Thai have is that they can’t find a quality school to train at. There are just not many good schools out there that are qualified to train people in the art of Muay Thai aka Thai Boxing. Sure, a lot of schools “say” they’re good, but the reality is that good, quality Muay Thai schools are hard to find. you live close by to the top Muay Thai school in your area. And, for a limited time, we’re offering 3 classes and a FREE pair of Gloves for Only $19.99, so you can see if our proven Muay Thai training system meets your needs. Class Schedule, Prices and Web Specials. "What if one decision could improve your Health, Release Stress, Make YOU More Confident, Focused and Fit?" Muay Thai is referred to as “The Art of Eight Limbs.” Using eight points of contact, the body mimics weapons of war: Hands - the sword and dagger; Shins & Forearms - armor against blows; Elbow -heavy mace or hammer; Legs & Knees - the ax and staff. The body operates as one unit. The knees and elbows constantly searching and testing for an opening while grappling and controlling an opponent. A method of self defense from your feet that’s been proven effective by fighters all over the world. 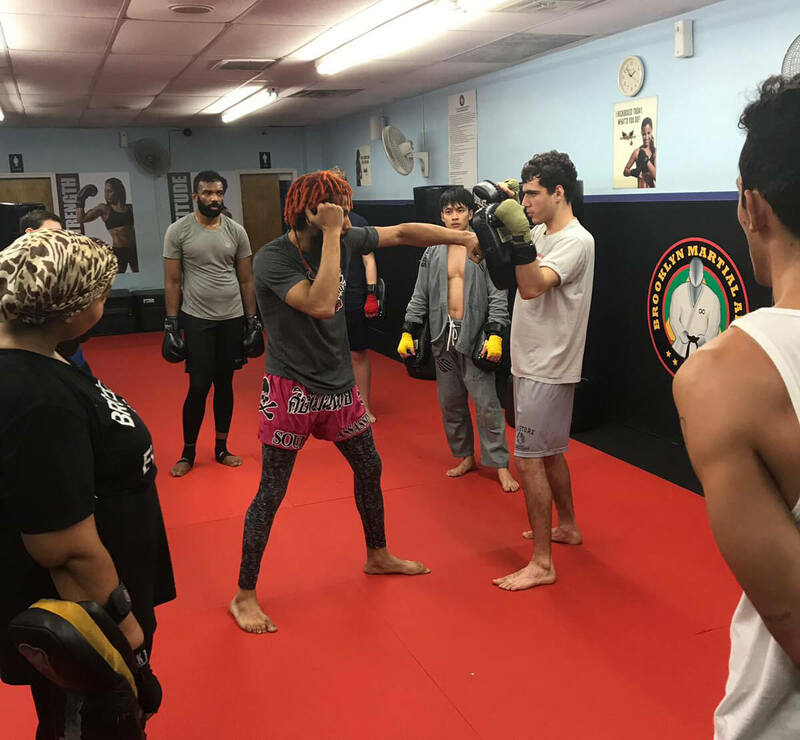 You’ll see why Muay Thai is considered by most of the world’s top fighters to be one of the most effective standup striking martial art ever created. Muay Thai training develops mental toughness and physical strength. …Why not today? 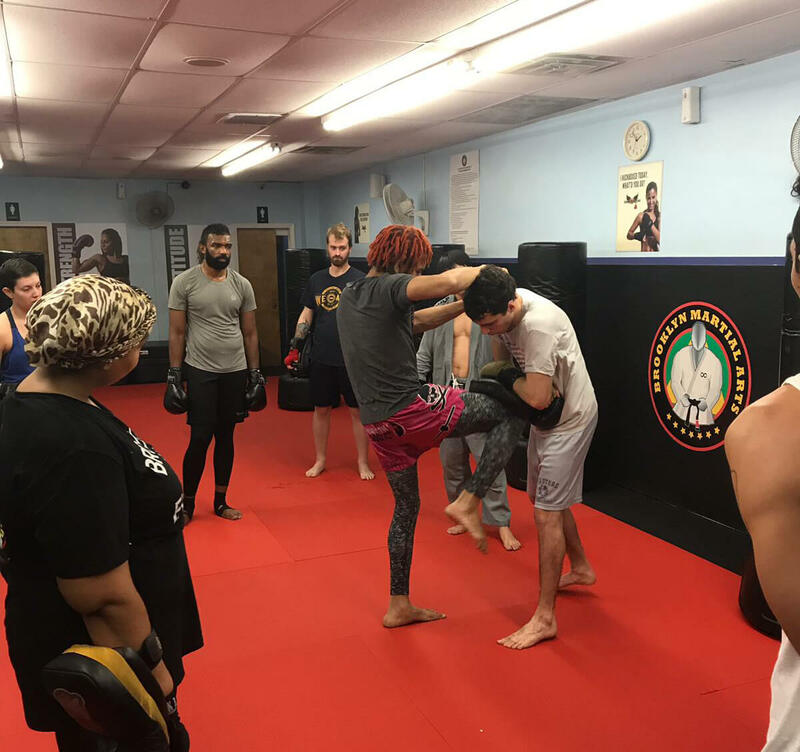 The sooner you start, the sooner you can up your game and join hundreds of others who’re part of the Brooklyn Martial Arts family. See you at your first class!